In back-to-back games, the Mariners have handed defeats to Houston’s All-Star starting pitchers — Justin Verlander and Gerrit Cole. 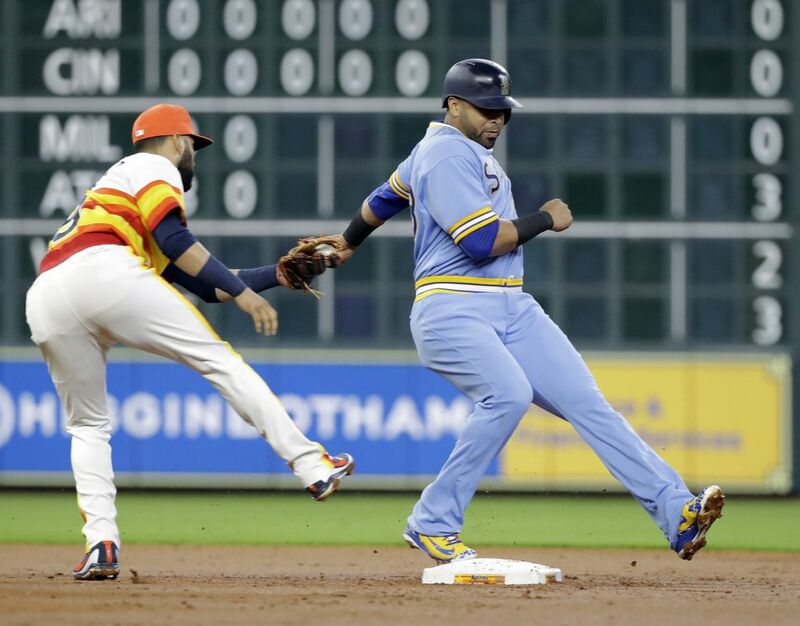 HOUSTON — Nelson Cruz wasn’t going to give in and get himself out. In his younger days, he might have made such a mistake, allowing adrenaline and the desire to deliver overcome him. But now at age 38, such precociousness doesn’t exist in his approach. “Nellie’s old,” Jean Segura said with a laugh. Still, Cruz found himself in the unenviable position of being down two strikes on a pair of 96-mph fastballs from reliever Ryan Pressly on the first two pitches of his at-bat. But with the bases loaded and one out in the eighth inning of a tied game, a strikeout was an unacceptable outcome. The veteran designated hitter shrugged off the next three pitches out of the strike zone from Pressly, all with the intent to get him to swing wildly and miss. Cruz worked the count full, forcing Pressly back into the strike zone. Cruz’s discipline was rewarded. He got a 96-mph fastball in the middle of the plate and was ready for it, whacking a long fly ball off the wall in deep left-center. 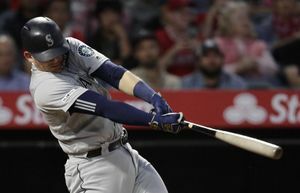 It scored two runs, sparking a three-run eighth inning, which was the difference in Seattle’s 5-2 victory Friday over the Astros. He won those pitches and the Mariners won for the second consecutive game at Minute Maid Park, improving to 67-50 this season. 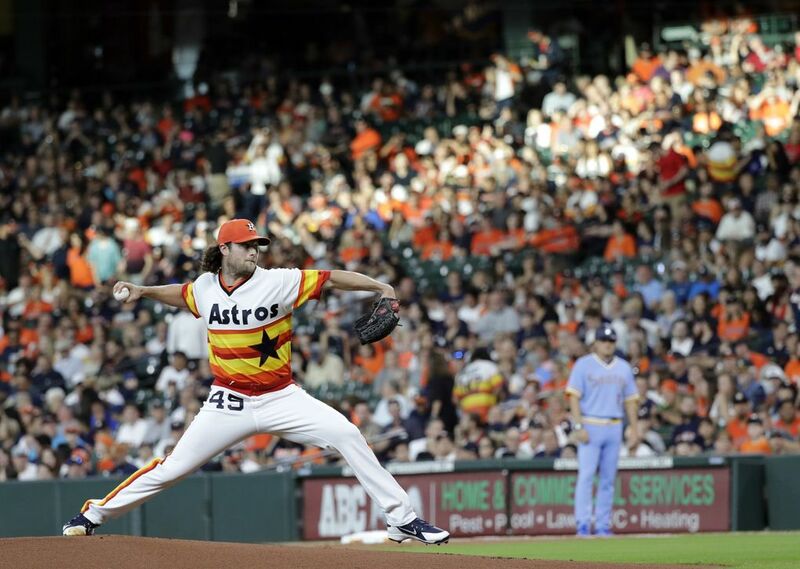 In back-to-back games, the Mariners have handed defeats to Houston’s All-Star pitchers — Justin Verlander on Thursday and Gerrit Cole on Friday. Cruz loathes talking about his performances. He was more concerned about Segura’s comments. Perhaps the better word is experienced. And that was an experienced at-bat by a proven hitter. The eighth-inning rally started with the revamped top of the Mariners’ batting order. With one out, Haniger, who has been the team’s leadoff hitter for all of two games, stroked his second double of the game off of a tiring Cole, sending a shot off the facade of the Crawford Boxes in left field. Denard Span followed with a single to center, putting runners on the corners. It forced Houston manager A.J. Hinch to call on his bullpen, bringing in Pressly, who was acquired at the trade deadline from the Twins. On his very first pitch, Pressly hit Segura on the hand with a fastball to load the bases and bring Cruz to the plate. Segura had X-rays on the hand after the game that came back negative, but his status for Saturday is unknown. “We’ll see how it feels tomorrow,” he said. Following Cruz’s double, Kyle Seager drove in another run with a ground ball to second. The three-run lead was held up by a scoreless eighth inning from Alex Colome while Edwin Diaz notched his 44th save of the season with a 1-2-3 ninth that included a pair of strikeouts. 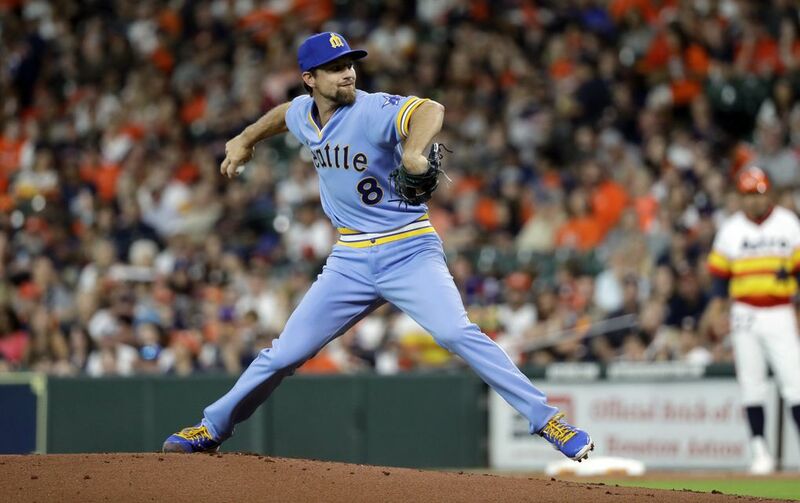 Seattle got strong pitching all evening, starting with starter Mike Leake, who delivered a commendable performance. The veteran right-hander pitched six innings, allowing just two runs on eight hits with a walk and four strikeouts. Leake held the Astros scoreless for the first four innings, using a big inning-ending double play to work out of a jam in the fourth. The Astros grabbed a 2-0 lead in the fifth. With two outs and runners on first and second, Leake thought he had Tony Kemp struck out on a high fastball that was nearly identical to the pitch he threw previously that was called a strike by home plate umpire Doug Eddings. On the next pitch, Kemp bounced a ground ball up the middle to score the first run of the game. Alex Bregman made it 2-0, doubling off the wall in left to score Martin Maldonado. 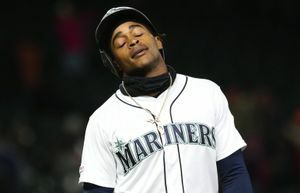 The Mariners answered immediately against the hard-throwing Cole, who had befuddled and beaten them for the first five innings, allowing just one hit and striking out five. Cameron Maybin led off with a crisp single to center and Dee Gordon drew a rare walk to set up the Mariners’ hottest hitter of the past few days — Haniger. He smoked a double into the left-field corner to score Maybin. Span followed with an infield single that scored Gordon to make it 2-2. It looked as if the Mariners would take a two-run lead at that time when Seager hit a sinking line drive into center field. Instead, Houston centerfielder Jake Marisnick, who got a late read on the ball, closed the distance quickly and made a full lay-out dive, catching the ball just centimeters before it hit the outfield grass. It ended the inning and saved two runs. Adam Warren worked a scoreless seventh despite allowing two base runners, keeping the game tied and setting up the Mariners’ rally in the eighth.